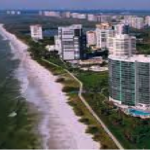 Naples, Fla. (April 17, 2014) – Million dollar home sales in Naples continue to skyrocket with the $2 million and above single family home market increasing 83 percent from 48 sales in the first quarter of 2013 to 88 sales in the first quarter of 2014, according to the 2014 First Quarter Market Report released by the Naples Area Board of REALTORS® (NABOR®), which tracks home listings and sales within Collier County (excluding Marco Island). Overall closed sales increased 5 percent from 2,237 in the first quarter of 2013 to 2,352 in the first quarter of 2014. However, closed sales in all price categories above $300,000 increased by double digits with the $2 million and above price category experiencing the highest increase of 80 percent from 61 sales in the first quarter of 2013 to 110 sales in the first quarter of 2014. Overall, homes in the $300,000 and below price category realized the biggest median closed price adjustment from $159,000 in the first quarter of 2013 to $173,000 in the first quarter of 2014, which reflected a 9 percent increase. According to Wes Kunkle, a commercial broker at Kunkle Realty and NABOR® president in 2013, activity has increased in commercial real estate for the first quarter as well. Activity was also impressive in the new home construction market during the first quarter according to Brett Brown, Director of Sales and Managing Broker for Fiddler’s Creek Realty, Inc. 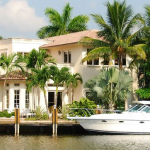 In the first quarter of 2014, a total of 270 homes with a median closed price of $1 million and above exchanged hands in Collier County (excluding Marco Island), up 65 percent from 176 closed sales in that category during the first quarter of 2013, according to the report. Inventory in all price ranges has continued to decline. In the first quarter of 2014 there were 4,405 available properties, a 14 percent decrease from the 5,136 available during the same quarter last year. As reflected in the statistics, the tight supply and high demand of homes is not triggering dramatic price increases. The median closed price in the price segments above $300,000 increased 9 percent from $540,000 in the first quarter of 2013 to $590,000 in the first quarter 2014. Overall closed sales increased 5 percent from 2,237 sales in the first quarter 2013 to 2,352 sales in the first quarter of 2014. The overall median closed price increased 15 percent from $230,000 in the first quarter 2013 to $265,000 in the first quarter 2014. The overall median closed price of homes $300,000 and under increased 9 percent from $159,000 in the first quarter 2013 to $173,000 in the first quarter 2014. The overall average days on market are at 95 for the first quarter of 2014. Overall pending sales increased 45 percent for homes $2 million and above from 120 contracts in the first quarter of 2013 to 174 contracts in the first quarter of 2014. Inventory for condominiums decreased 23 percent from 2,758 units in the first quarter of 2013 to 2,110 units in the first quarter of 2014, while inventory for single-family homes decreased only 3 percent from 2,378 units in the first quarter of 2013 to 2,295 units in the first quarter of 2014. Overall closed sales increased 42 percent in the $2 million and above price category from 245 sales in the 12-months ending March 2013 to 348 sales in the 12-months ending March 2014. Overall pending sales increased 4 percent from 10,633 contracts in the 12-months ending March 2013 to 11,083 contracts in the 12-months ending March 2014. Overall median closed price increased 15 percent from $215,000 in the 12-months ending March 2013 to $248,000 in the 12-months ending March 2014, with the under $300,000 price segment experiencing the largest increase of 11 percent from $148,000 in the 12-months ending March 2013 to $165,000 in the 12-months ending March 2014. Closed sales for condominiums increased 10 percent from 4,694 sales in the 12-months ending March 2013 to 5,140 sales in the 12-months ending March 2014. The median closed price of single-family homes increased 25 percent from $248,000 in the 12-months ending March 2013 to $310,000 in the 12-months ending March 2014. “Despite a low inventory, sales are strong because the inventory is continually being sold and replenished. List your home with a REALTOR® who can help you price it correctly and it will likely sell quickly,” said Pitocchi. 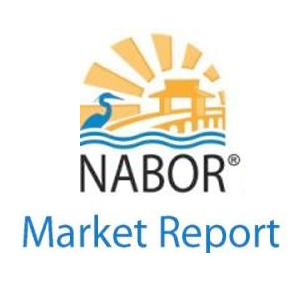 The Naples Area Board of REALTORS® (NABOR®) is an established organization (Chartered in 1949) whose members have a positive and progressive impact on the Naples Community. NABOR® is a local board of REALTORS® and real estate professionals with a legacy of nearly 60 years serving 4,000 plus members. NABOR® is a member of the Florida Realtors and the National Association of REALTORS®, which is the largest association in the United States with more than 1.3 million members and over 1,400 local board of REALTORS® nationwide. NABOR® is structured to provide programs and services to its membership through various committees and the NABOR® Board of Directors, all of whose members are non-paid volunteers. The term REALTOR® is a registered collective membership mark which identifies a real estate professional who is a member of the National Association of REALTORS® and who subscribe to its strict Code of Ethics.